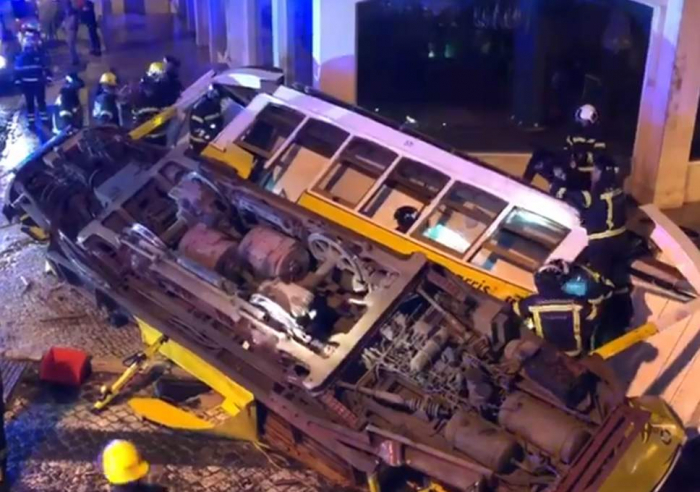 Twenty-eight people have been injured after a tram derailed and flipped over in Lisbon. Officials say the tram went off the rails on a bend at the bottom of a steep hill at around 6pm on Friday. It hit a building and fell on its side, initially trapping about a dozen people in the wreckage and injuring others on the pavement. No one was badly hurt. Local media initially reported that two children from the UK had been injured, but the Foreign Office said it believed no British people were involved. Electric trams are a common form of transport in the Portuguese capital.